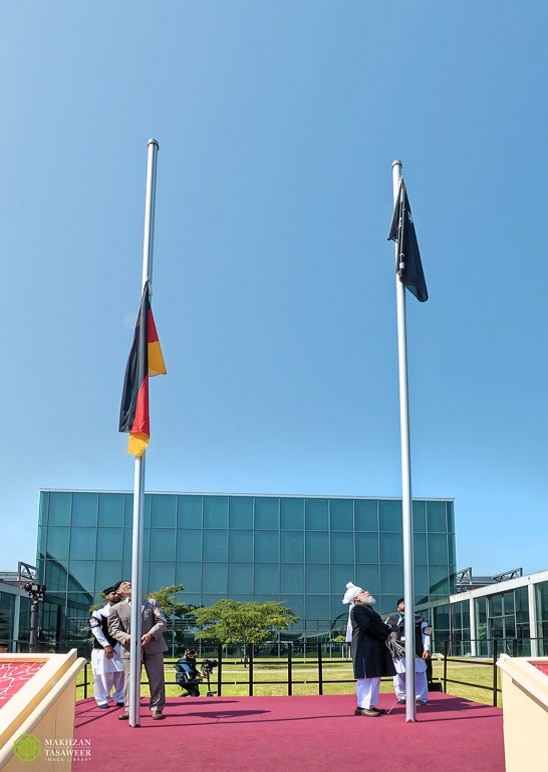 The 42nd Jalsa Salana (Annual Convention) of the Ahmadiyya Muslim Community in Germany began on Friday with a Friday Sermon delivered by the World Head of the Ahmadiyya Muslim Community, the Fifth Khalifa, His Holiness, Hazrat Mirza Masroor Ahmad. 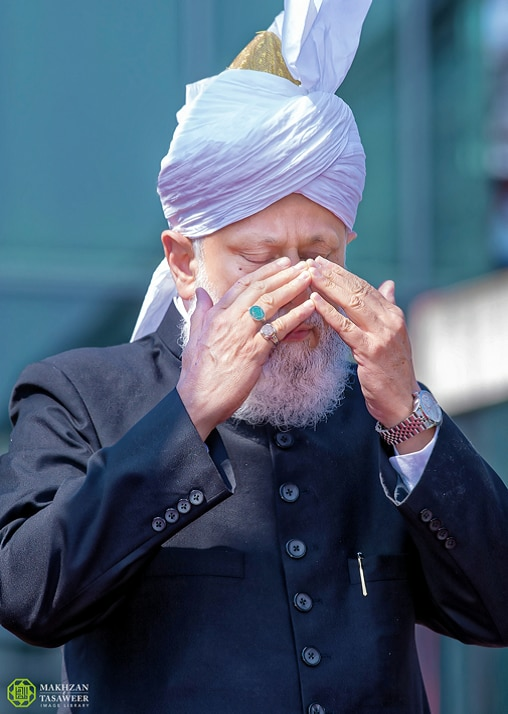 Over 30,000 delegates from dozens of countries are attending the 3-day event, during which Hazrat Mirza Masroor Ahmad will deliver a total of 4 addresses, including an English address to non-Ahmadi guests on Saturday afternoon. 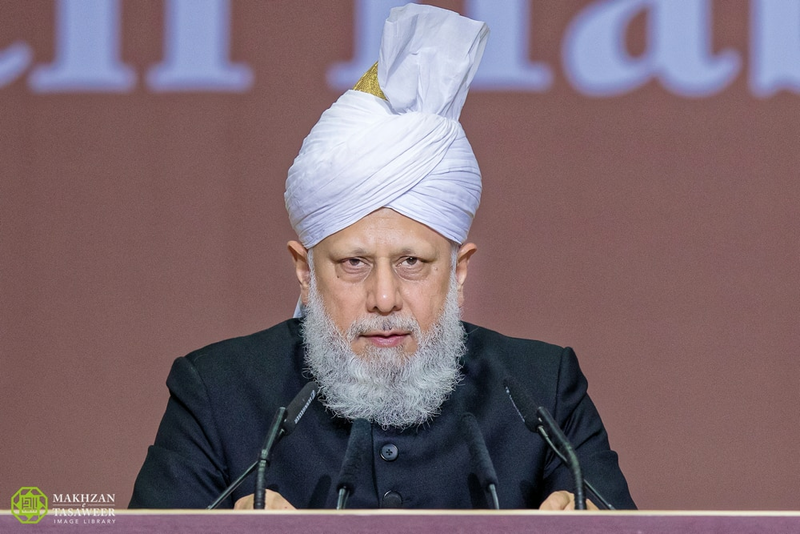 During his Friday Sermon, His Holiness spoke about the spiritual objectives of the Jalsa and the need for people to establish a living link with Allah the Almighty and to serve humanity. Reflecting on the current state of the world, His Holiness said that increasingly people in the West were adopting atheism and, as a result, the core concepts of religion, such as a belief in the acceptance of prayer were being denied and mocked. Referring to practicing the true teachings of Islam, His Holiness said that Muslims have the most perfect example to follow in the life of the Holy Prophet Muhammad (peace be upon him) who practiced the best of morals. 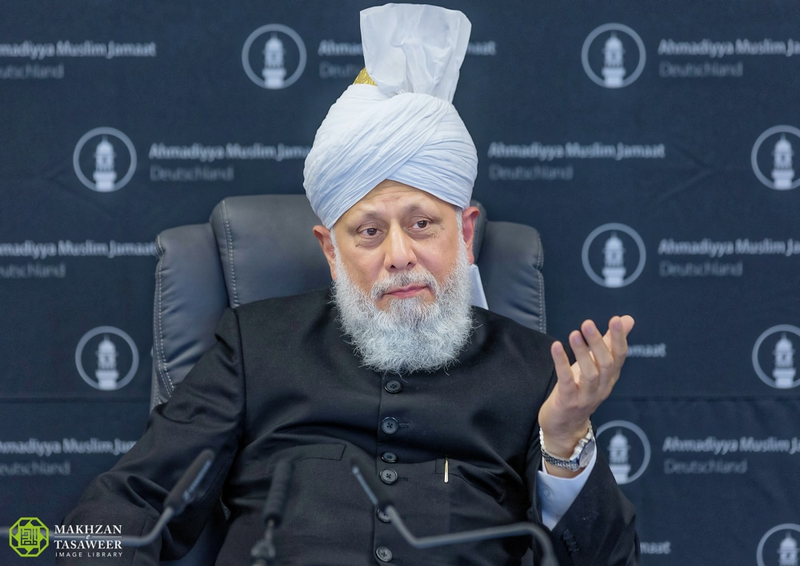 His Holiness said that the love Muslims hold for the Holy Prophet Muhammad (peace be upon him) should not just be exhibited through words but must be exhibited through their conduct. Amongst the Islamic good morals explained during the sermon, His Holiness also spoke about protecting other people and to show discretion. Concluding his address, His Holiness advised the attendees of the Jalsa Salana and the volunteers organising the event to be mindful of good morals at all times. 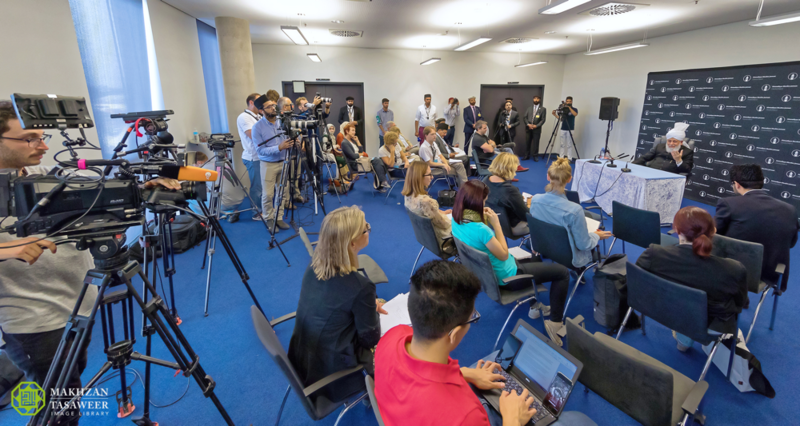 Later, His Holiness also answered questions during a 30-minute Press Conference with journalists from a range of countries.